This is an exquisite pair of solid gold menuki by Banryuken Sadanaka. 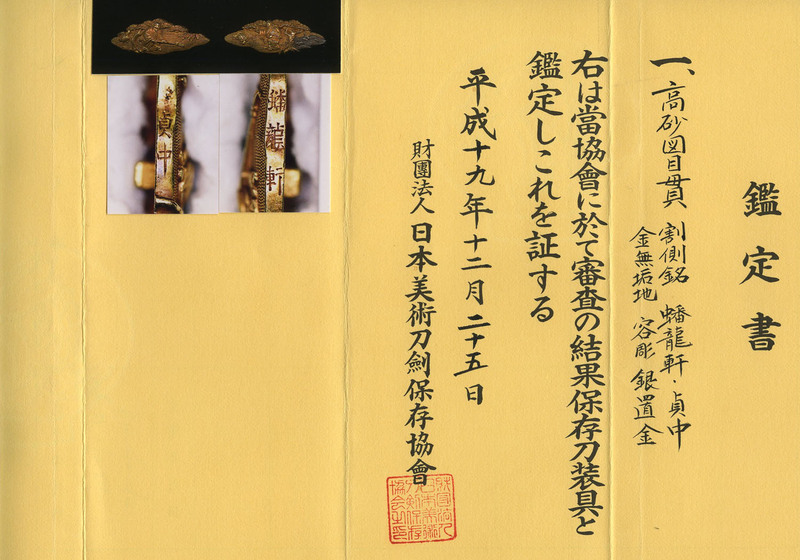 His family name was Iwamoto and he was a student of the famous Ichinomiya Nagatsune. 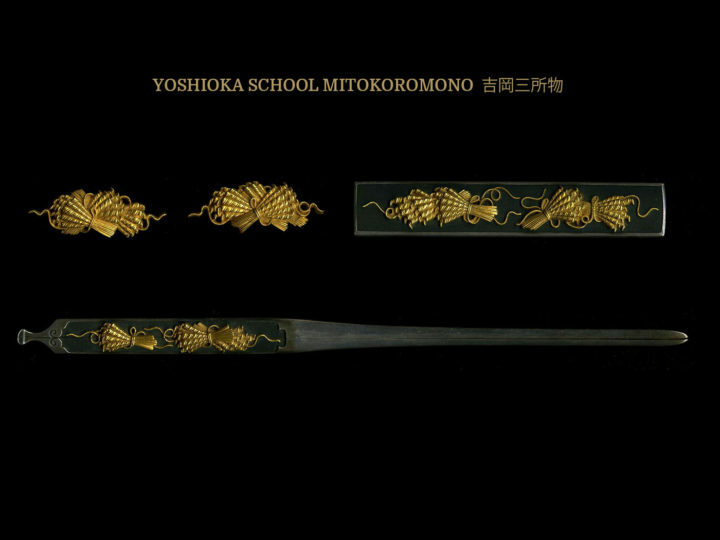 Sadanaka worked around 1725-1750. He worked in Kyoto. 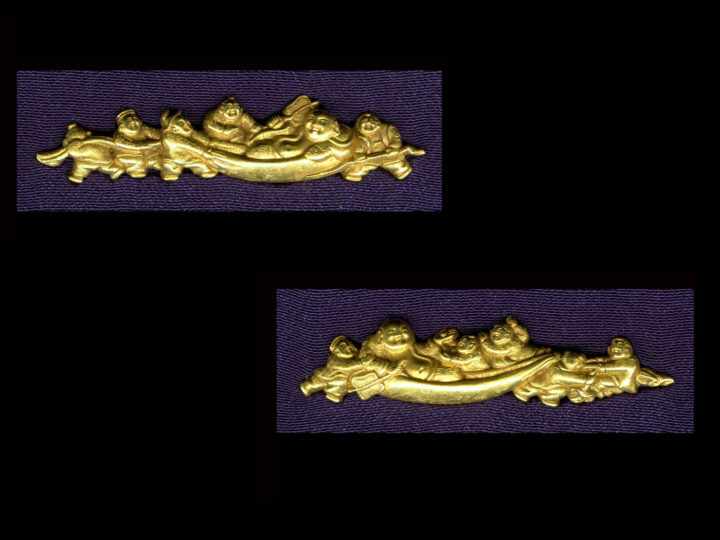 This pair of menuki is made in solid gold. The background on both is a very fine nanako. This pair of menudo tells the story of Jo and Uba. Jo, the tree spirit is almost always pictured with a rake. This represents the idea of always working, never retiring, always active, and thus always of value. Uba, the devoted one has no fear of widowhood since her husband will never leave her. She often has a broom of reeds. The pine tree is always present when Jo and Uba are depicted. An evergreen tree like a pine represents longevity. The crane and the tortoise are also representative in this theme as they represent good fortune and long life. 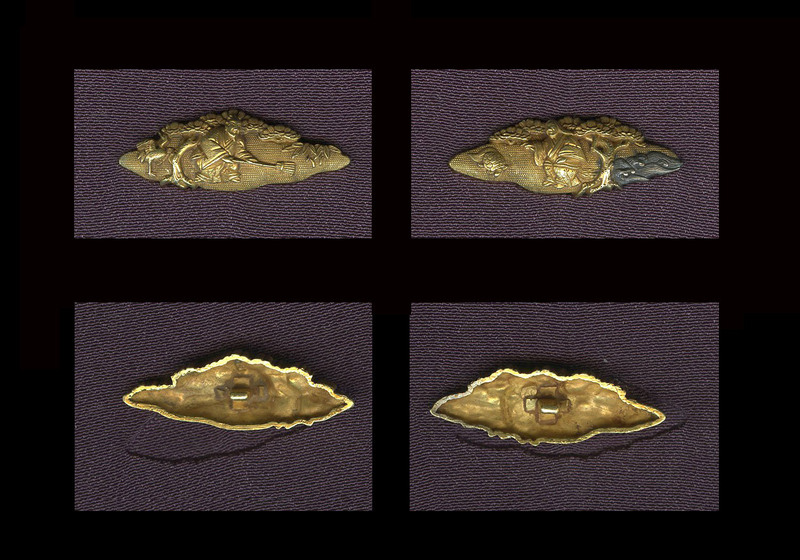 These menuki are signed on the bottom edge with Banryuken on one and Sadanaka on the other. 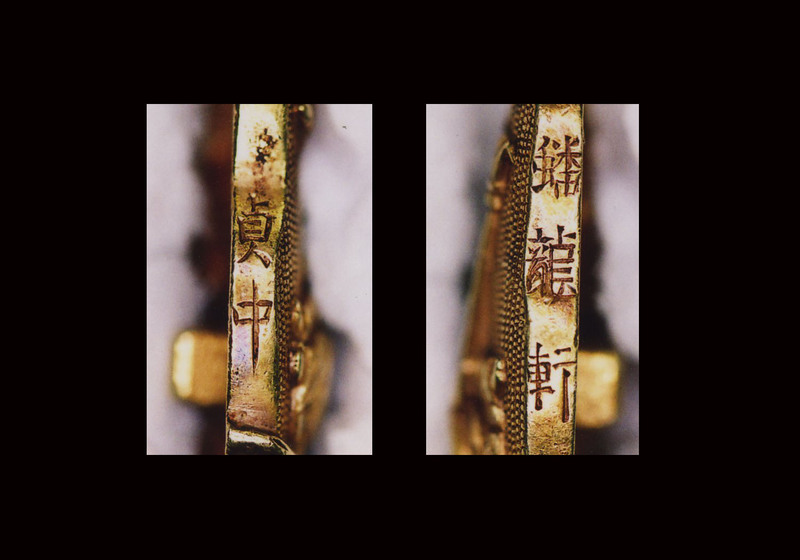 They come with NBTHK Hozon papers which attest to the validity fo the signature and the quality of these menuki. Thanks go to Taum Dell’Armo for his research on this theme.